And that means we need to track all cannabis products as they move through the supply chain. Our expert speakers will be guiding you through serious compliance considerations to keep your business safe and protected. We’ve got you covered. You just have to get there. Dr. Juli Crockett – Director of Compliance for MMLG consultancy. Tim Morland – Director of Compliance River Distribution. Vincent Leon – Certified METRC consultant. Interested in sponsoring? 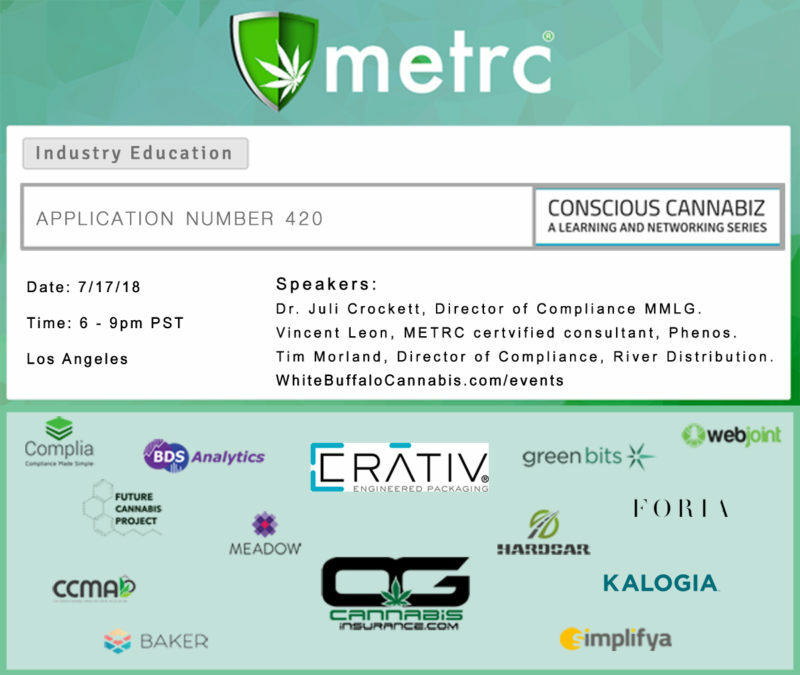 This event is highly targeted toward conscious-minded cannabis industry business owners. If you are reading this, you’ll fit right in. Host an expo table for one-to-one convos with our guests. $500 Includes table and chairs and a ticket. Support our learning and networking event with our digital marketing package for $200. This includes digital marketing before the event, and we’ll be sure to show our appreciation at the event. Contribute a raffle prize with this engagement package. This event is filmed so that we can all watch it again later. Use the form below to contact us with sponsorship inquiries. METRC, here we come! Thank you SolidarityLA.com for hosting us.